I have spoiled so many DVDs and CDs attempting to do what this program does very simply and effectively. 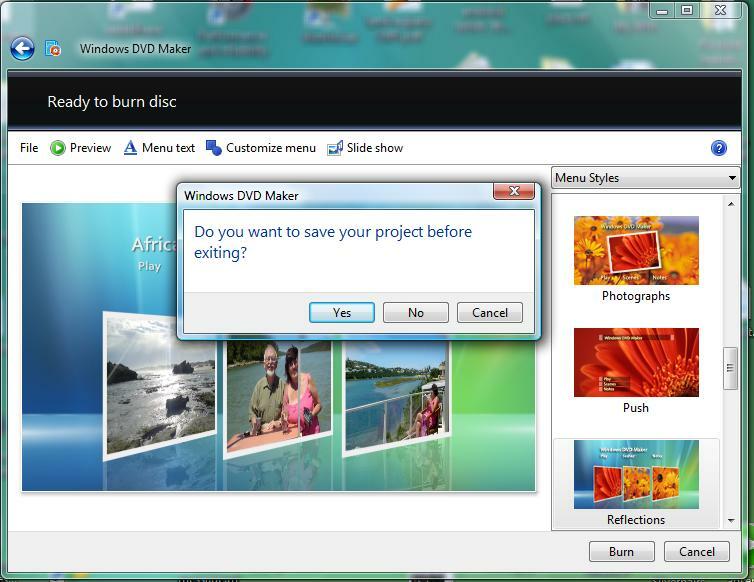 In just minutes you can produce something impressive that can include your still pictures and videos. 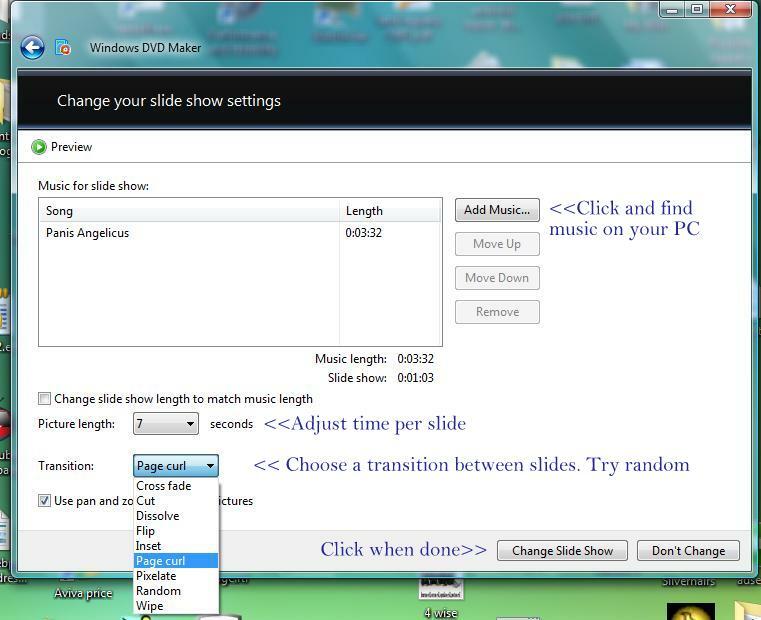 It can include music for the 'slides' and normal sound for your videos, while giving you the option for a number of superb 'transitions' between slides. It even gives the option to go to 'scenes' within the production, so people do not have to watch all of your boring pictures at one go. 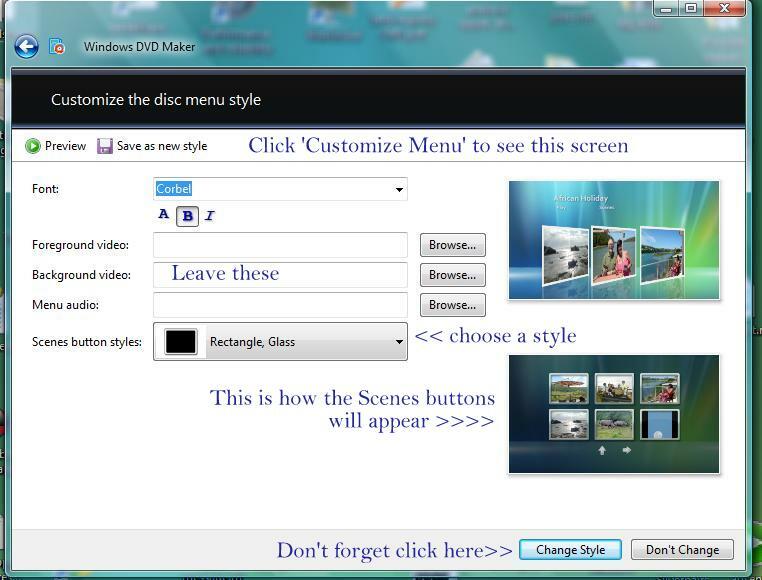 The Play and Scenes buttons on screen can be selected with your mouse on the PC or with the controller on the DVD Player. 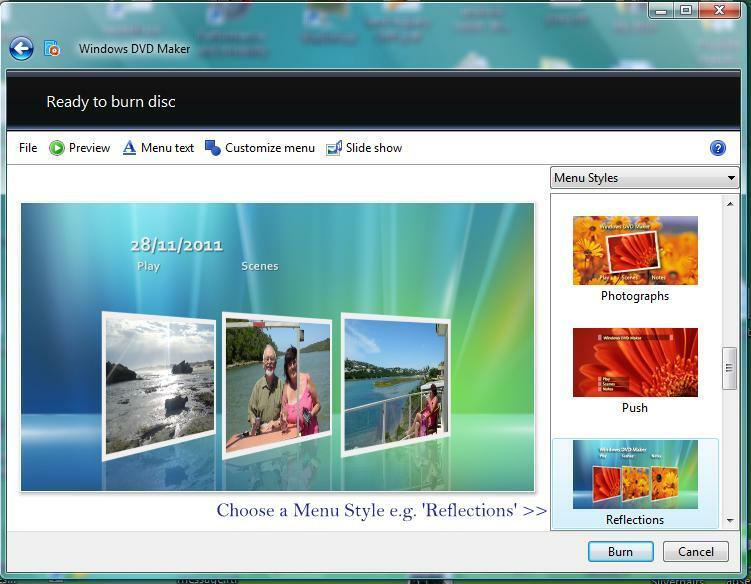 You can preview your efforts before burning them to DVD and even save the outlay so you can make copies later. 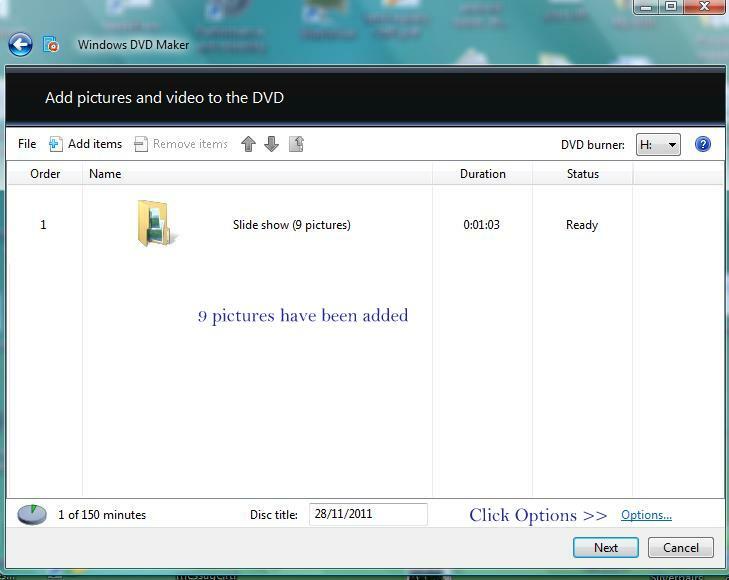 Once the DVD has been completed it should play automatically on any PC or any DVD player. So you can send them to friends and relatives with little fear that they will not be able to view them. 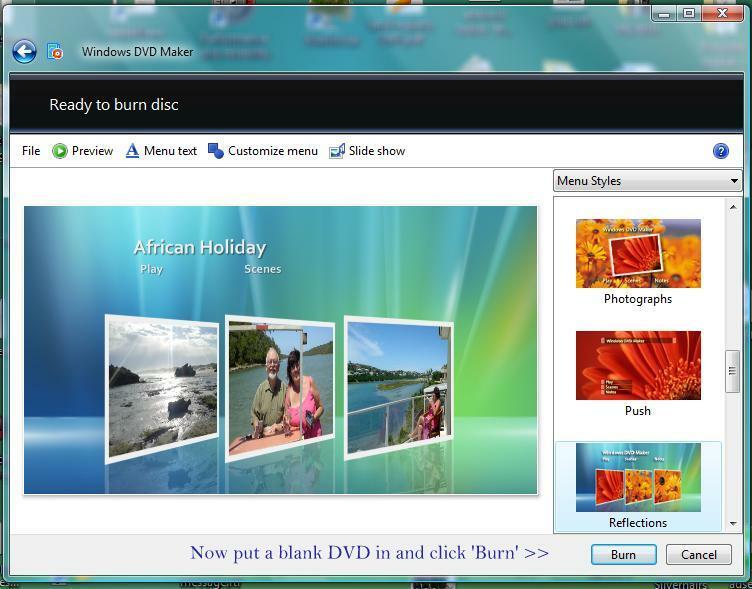 A PC with the ability to WRITE to -"burn"- DVDs. Earlier machines may PLAY them but be unable to write to them. 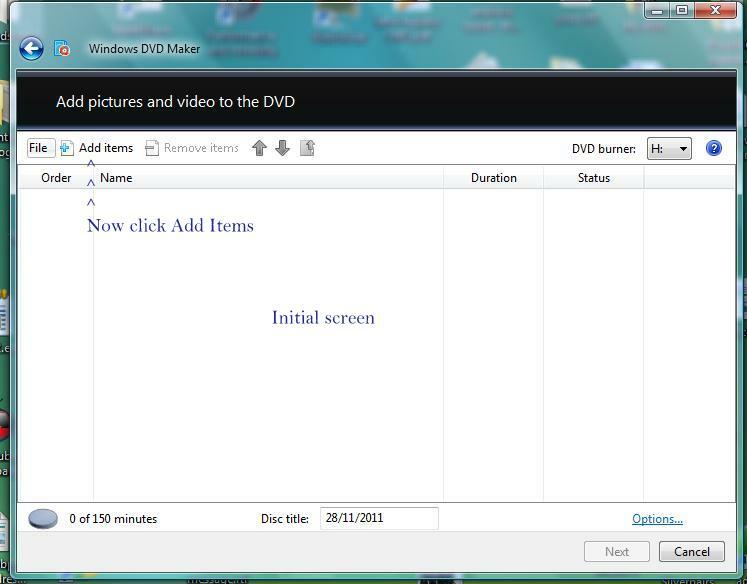 To check this click on "Computer" on the desktop and see whether your DVD says something like DVD-RW. If it only says DVD you are out of luck. DVD marker pens. Always mark them with their content and playing method. So, here we go. The text in blue has been added by me to the screens you will see. Add the pictures and videos you want. You may find them in the 'My Pictures' folder. In the Options screen select the screen width and click OK. Is this going to be shown on a widescreen TV?